We will honor the manufacturer warranties for covered parts only. repair of your window product. There are instances where some warranties and companies will reimburse the consumer for repair charges. The consumer is responsible for contacting the manufacturer as to what is covered with their warranty. We will gladly provide you with the proper Toll Free number for most of the window fashion industry’s major manufacturers. Our in-stock inventory includes 50 plus years of miscellaneous parts for your window blinds, shades, verticals and drapery rods !!! We are a full line dealer of popular brand names like Graber™, Bali™ and Kirsh/Levolor™ as well as private-labelled brands. 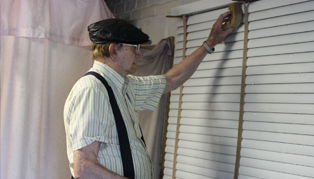 We install all types of window coverings, no matter the manufacturer or where you purchased the product. 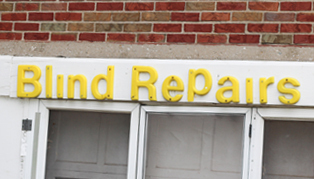 We offer services to repair your damaged vertical rails, cord locks, wands and cord tilt components. We will honor the manufacturer warranties for covered parts. 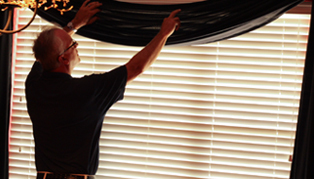 We offer our services to professionally clean your window treatments. These include drapery, sheer, valances, toppers and cornice boards (soft goods). © Web design and development by Creasphere, all rights reserved.